Employee engagement is closely related to organizational performance. The best-known report, among the many published recently about the connection, came from Gallup. It found organizations or business units with highly engaged employees report 21 percent greater profitability when compared with those in the bottom quarter of engagement. This is why measuring the level of workplace engagement is so crucial. You can’t improve what you don’t measure. However, survey data has shown that only about half of all companies measure engagement. Also, conducting an annual employee survey is still the most common method for gauging employee engagement at more than 75 percent of organizations. Yes, an annual survey can be beneficial. But it can take months to analyze results – which often aren’t segmented and shared in ways that lead to action and change based on feedback. The whole process can end up feeling meaningless to employees. Perhaps most of all, it contributes to a thriving company culture because employees can see that the organization is interested in what they think – and is taking their opinions seriously. The question then becomes what questions should you ask? And how often should you ask them? We’ve crafted more than 40 simple questions to help measure employee engagement. You can ask for all kinds of feedback about product innovation, service improvements, and customer feedback, all of which are incredibly valuable and should be asked. 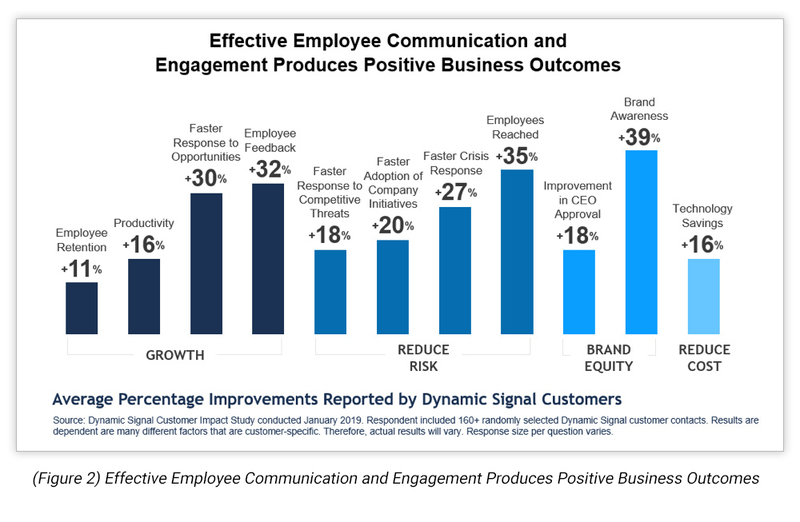 But because of the high correlation between employee engagement and profits, we believe that having a continuous stream of pulse surveys that measure employee engagement, and then responding to the feedback, will be the best driver of better business outcomes. We recommend that you pose one question each week accompanied by a follow-up question: “How can we improve?” Continuous measurement is important because employee attitudes change from month-to-month and even week-to-week. 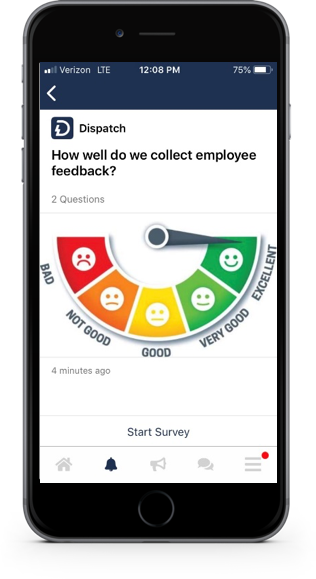 You always want to have your finger on the pulse of employee sentiment so you can continuously make improvements – and measure the results of your efforts. How much do you agree/disagree with the following statements? 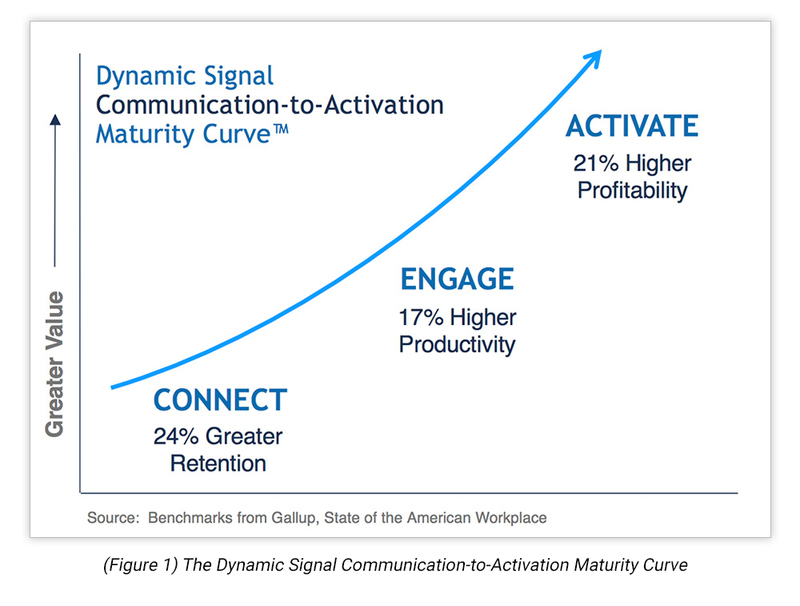 With the Dynamic Signal Platform for Employee Communication and Engagement, companies across every business sector, including Fortune 100 companies, can increase brand equity, reduce risk and grow their businesses by securely delivering personalized, timely information to their employees around the world, on the channels and devices they prefer. Wendy S. Close is Vice President of Product & Customer Marketing at Dynamic Signal. Wendy is a thirty-year veteran in uncovering actionable insights that drive product, go-to-market, distribution, and growth strategies. Before joining Dynamic Signal, Wendy was VP of Global Product Marketing at Apttus, the leader in software for Quote-to-Cash. Prior to Apttus, Wendy spent 10+ years managing customer and marketplace research for Salesforce and 10+ years as a Gartner Research Analyst focusing on sales and customer relationship management strategies and technologies.